Update: as of March 4, 2019, a federal court judge rescheduled Carton’s hearing until April 5 to give his attorney additional time to review the report, according to a court filing. 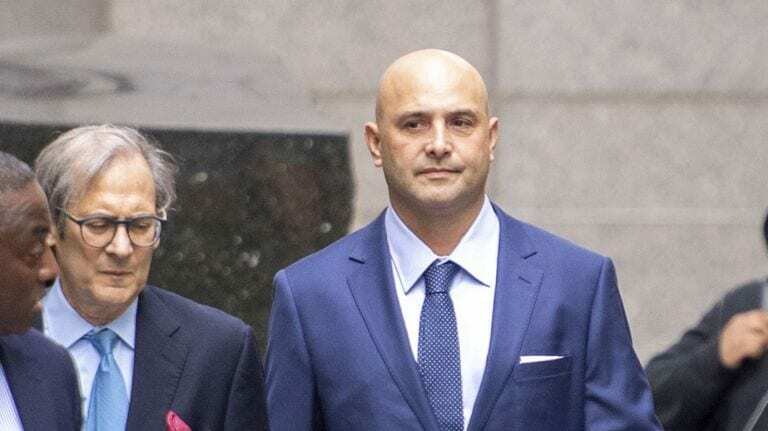 ‘Craig Carton’s attorney is seeking a sentencing delay as they await a psychological report that is “essential” to their sentencing presentation, a court filing obtained by Newsday notes. While Carton’s sentence was originally scheduled for February 27, it was pushed back earlier this week to March 15. His attorney, Derrelle Janey, asked the federal judge overseeing the case to delay Carton’s sentencing to April 5 so they have ample time to review the report. In November, Carton was found guilty for security fraud, wire fraud, and conspiracy to commit fraud – which could land him in prison for up to 45 years. The former sports talk radio star, known as the co-host of the “Boomer and Carton” radio show with former NFL quarterback Boomer Esiason, was found guilty of running a Ponzi-like scheme. He promised investors inside deals on tickets only to use their investments to pay off his own debt. Carton insisted that his business was legitimate prior to the trail, but documents submitted as evidence showed that he used the investors’ money for his own personal expenses. Additionally, he claimed to have relationships with venues and promoters like Brooklyn Sports & Entertainment, however, BS&E executives refuted these claims, noting that the emails Carton submitted as evidence were doctored. In Carton’s closing arguments, he eventually admitted that he had lied to investors and how their money was used, NJ.com reports. Yet, he claimed this shouldn’t be considered a crime, as he intended to return the funds to the investors. Joe Meli, who ran a similar scheme last year, was sentenced to over six years in prison and was fined $1.5 million.